I don’t know much about this bike other than it is very nicely built. 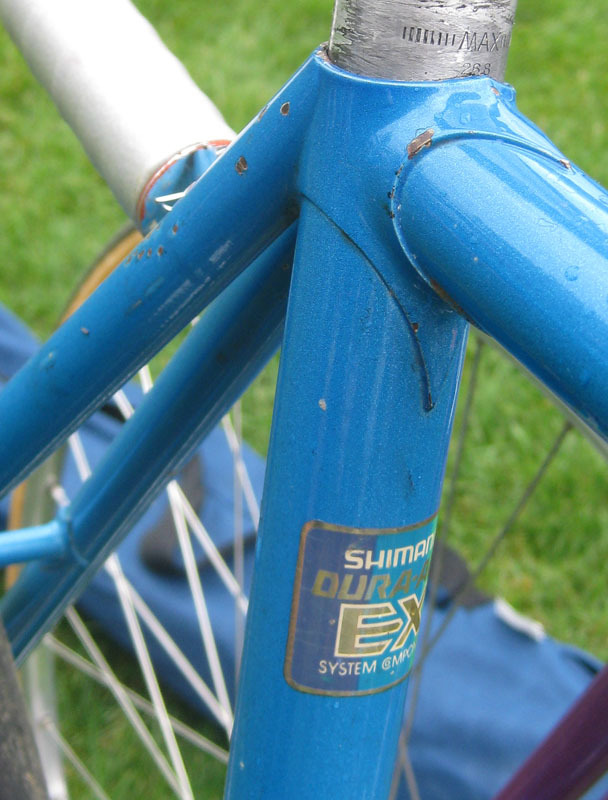 From the Panasonic history website, Panasonic organized a Panasonic/Shimano team in the US in 1979. 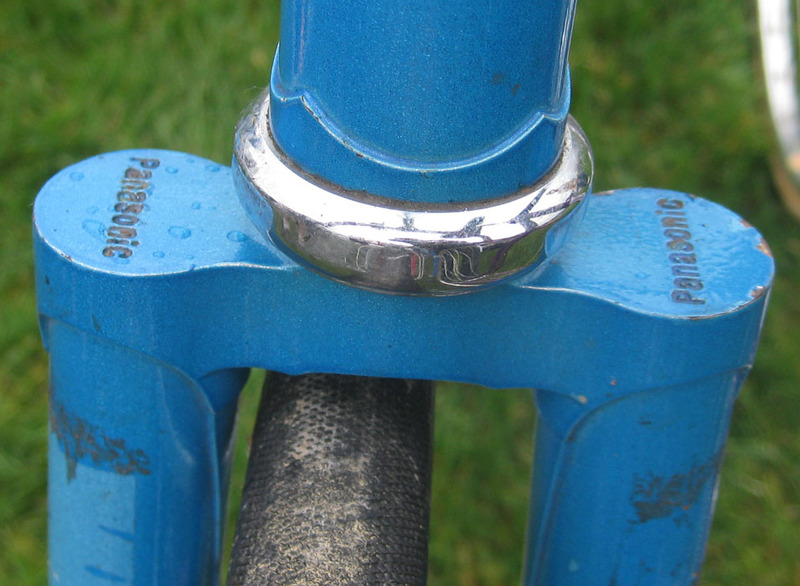 I really like the fastback seatlug treatment, but I could see problems with over tightening of the seatbolt with it threading into the other seatstay. The fork has beefy round fork blades and even the seatstays are rather large. 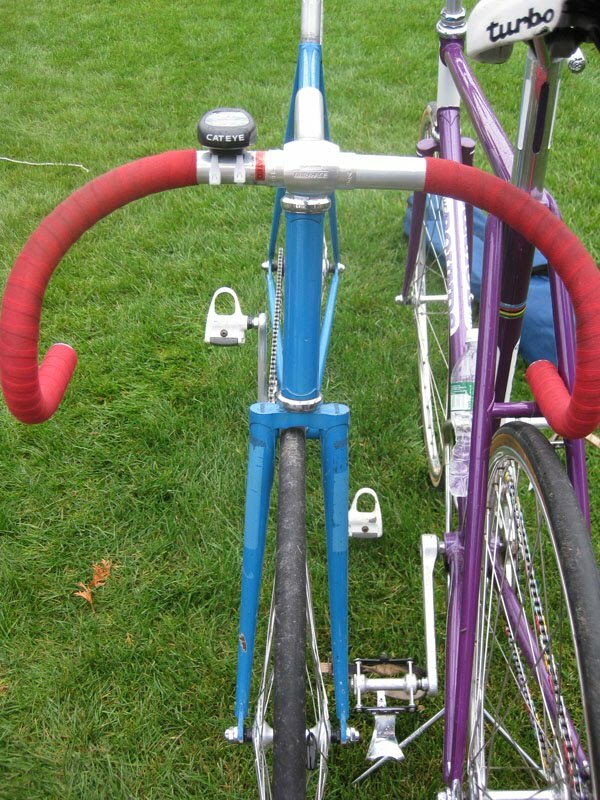 It appears as though the front wheel is misaligned in the fork. Am I wrong or is it just a photo angle? 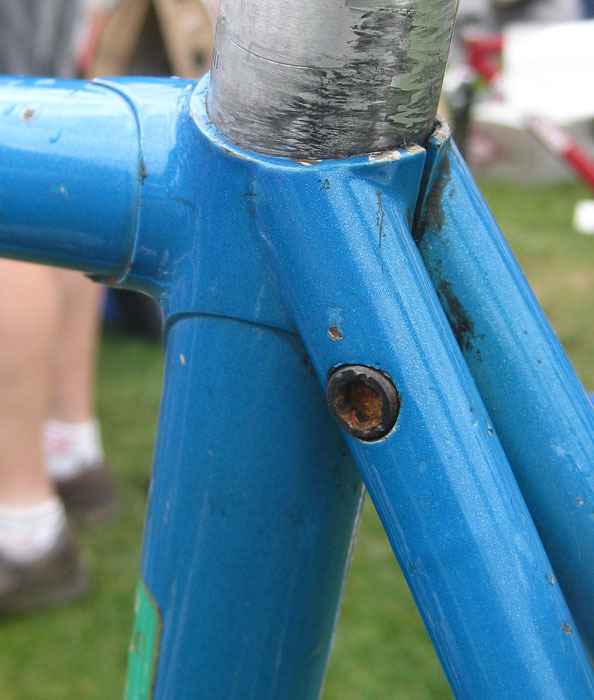 the front wheel was not properly installed in the dropouts. Bruce Donaghy, Dave Grylls, Danny Clark. It was a powerhouse team. 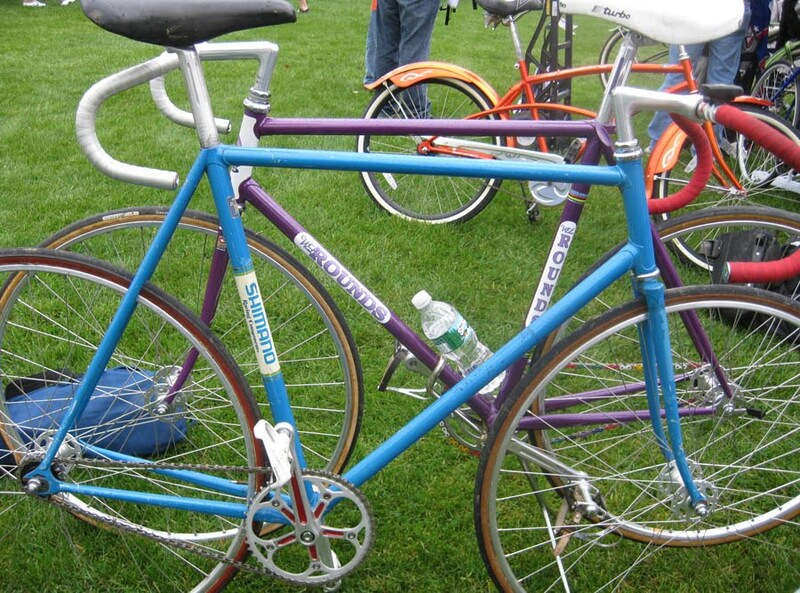 Tom Kellogg made many of those bikes. this panasonic bicycle is really nice. I really love the bicycle. I swapped the crankset for the Shimano 7500 Dura Ace w/ Suntour Cyclone pedals. Love it! I have to tell you that the frame in the photographs was actually hand built in the Panasonic factory for the third year of the P/S team. I made the frames for the first two years, and Panasonic took over from there. In fact, those Panasonic frame were beautifully built with the best materials available at the time, so the quality of that frame is impeccable.